The Seahawks claimed defensive tackle Garrison Smith off waivers Sunday. The Seahawks claimed defensive tackle Garrison Smith off waivers from the San Francisco 49ers Sunday morning, the second 49er defender they have added in two days. Saturday, the Seahawks traded for safety Dewey McDonald. The Seahawks waived defensive tackle Justin Hamilton, who had been a part of the 53-man roster for a day, to make room for Smith, meaning the team essentially traded defensive tackles, one spot on a largely stable roster that has seen some change during training camp. The Seahawks also saw two players waived the day before claimed by other teams — running back Troymaine Pope to the Jets and cornerback Marcus Burley to the Browns. Receiver Kasen Williams, meanwhile, was reported as one of six players the Seahawks officially signed to their 10-man practice squad. Williams was waived on Saturday after battling a hamstring injury throughout training camp that limited him to one preseason game. Smith, a 6-1, 300-pounder from Georgia, was one of the defensive standouts for the 49ers in the preseason with 15 tackles and two sacks. He’ll help fill a void in the middle as the Seahawks have waived two players in the last week that were anticipated to be tackles when the season began — Jordan Hill and Sealver Siliga — who were each waived as injured. 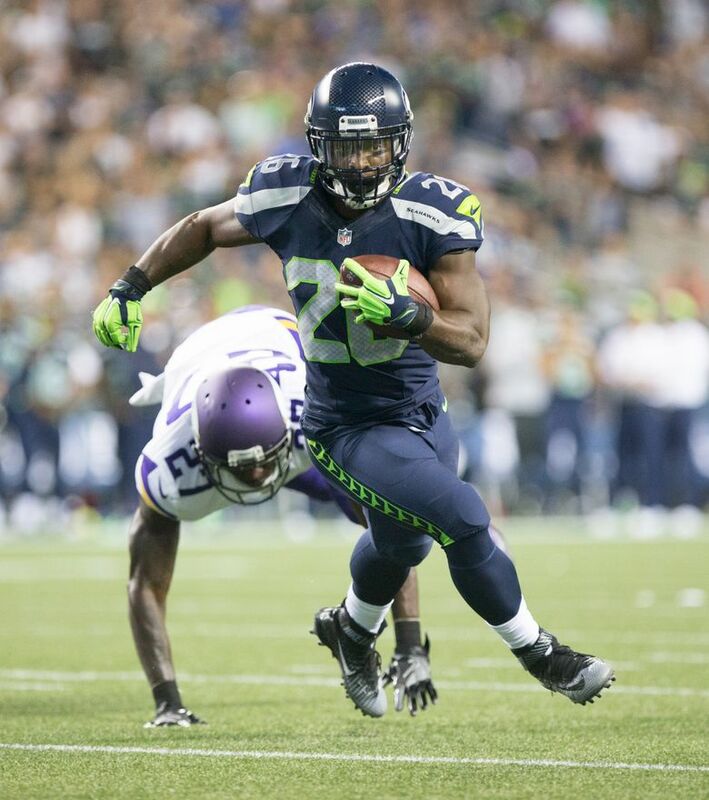 Hill reverted to Seattle’s Injured Reserve list Sunday. Smith was on the 49ers’ practice squad last season but has not played in any regular season games in two years in the NFL. Originally an undrafted free agent, he also had practice squad stints with the Saints and Dolphins. Pope was one of the stars of Seattle’s preseason, leading the team in rushing with 162 yards on 24 carries and the Seahawks were interested in keeping him on the practice squad. But the Seahawks essentially decided to keep Alex Collins as the fourth tailback instead of Pope, and he is now on the Jets’ 53-man roster. Burley was a Seahawk the last two years but battled a hamstring injury late in the preseason and was waived by the Seahawks as injured. But he now joins Cleveland’s 53-man roster. None of the other Seahawks who were waived Saturday were claimed. Along with Hill, three others who were waived as injured reverted to Seattle’s Injured Reserve list Sunday — OL Terry Poole, TE Joe Sommers and LB Eric Pinkins. Williams was one of six known players to have signed to the practice squad as of Sunday afternoon the others being DE Tylor Harris, WR Kenny Lawler, LB Kache Palacio, OL Will Pericak and WR Rodney Smith. All but Smith, from Florida State, were with the Seahawks in training camp. Smith was in camp with the Cowboys. Lawler was one of Seattle’s 10 picks in the 2016 draft, taken in the seventh round. Eight made the 53-man roster and Lawler is on the practice squad. RB Zac Brooks remains a free agent, having not yet been announced as signing to a practice squad. The Seahawks were also reported to have filled one of the practice squad spots with offensive lineman Robert “Snacks” Myers, who had been with Denver. He was a fifth-round pick of the Ravens in 2015. Two others who were reported as signing were tight end Marcus Lucas who was with Carolina; and linebacker Jordan Tripp, who was with Jacksonville.